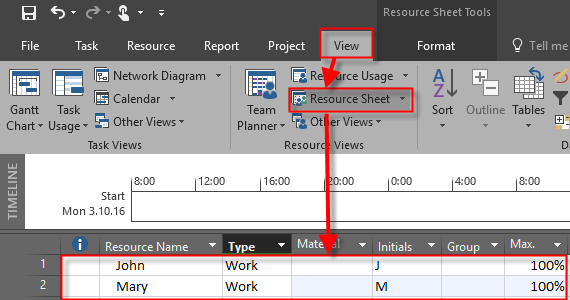 ← How to put different Overtime Work to Task in MS PROJECT 2016! %Complete vs. %Work Complete in MS PROJECT 2016!–when to use what? I wrote a blog Post about this issue, but I will now clarify exactly where is the difference between this two % of completeness, and when to use which one of them. As you can see, Duration is 6 days. Why? Initial Duration was 5 days, (from Monday to Friday), but since Mary has day off at Wednesday, she should work on next Monday to finish her part of the Task, and it makes 6 days. John will work 100% which means 8 hours per day and that make Total of 5 (not 6, but 5!!!) days * 8 hours per day * 100% = 40 hours. Mary will also work 100% and that also make Total of 5 days * 8 hours per day * 100% = 40 hours. . So to finish this Task 80 hours of work is needed. 50% in %complete field means that we spent 50% of Duration! So the work was done according to plan at Monday, Tuesday and Wednesday! You can see that in right part of Task Usage View in Actual Work field per day. So John spent 24 hours (8 hours at Monday, Tuesday and Wednesday), but Mary spent only 16 hours (8 hours at Monday and Tuesday, and she did not work at Wednesday, because she had day off!). Now let’s calculate %Work complete for this example. When you know how much time has passed (e.g Duration) in percentage, use %Complete field. When you know how much work is done (e.g Hours) in percentage, use %Work Complete field. When you know how much work is done (e.g Hours) in percentage for specific resource, of course you will use %Work Complete field. And this is the most common situation if we are talking of percentage. But, if you know exact number of hours that particular Resource spent on the particular Task, never use %Work Complete, but always Actual work field! 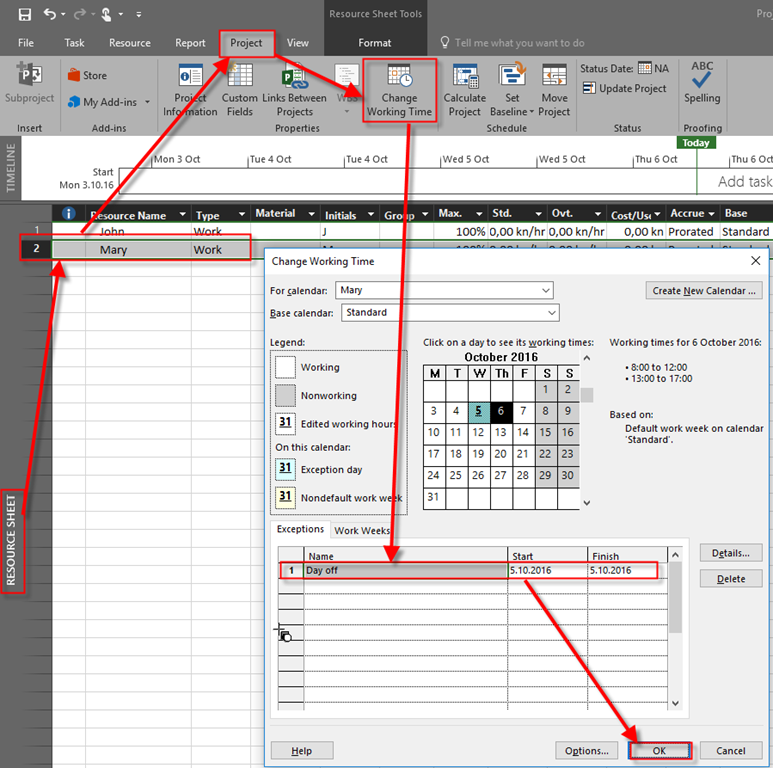 This entry was posted in MICROSOFT PROJECT, MS PROJECT 2016, PMI, PRoject Management and tagged Micorosft Project 2016 - Resources, Micorosft Project 2016 - Schedule, Micorosft Project 2016 - Tasks, MS PROJECT. Bookmark the permalink. 2 Responses to %Complete vs. %Work Complete in MS PROJECT 2016!–when to use what?